Will Business Owners Have To Pay Deductibles After Sandy? | The Voss Law Firm, P.C. Will Business Owners Have To Pay Deductibles After Hurricane Sandy And The Storms That Followed? Whether it takes strategic negotiation or courtroom litigation to secure a fair settlement or award, our team of Hurricane Lawyers stand ready to do what it takes to ensure business owners, and homeowners, get the money they need to repair their businesses, homes and land. 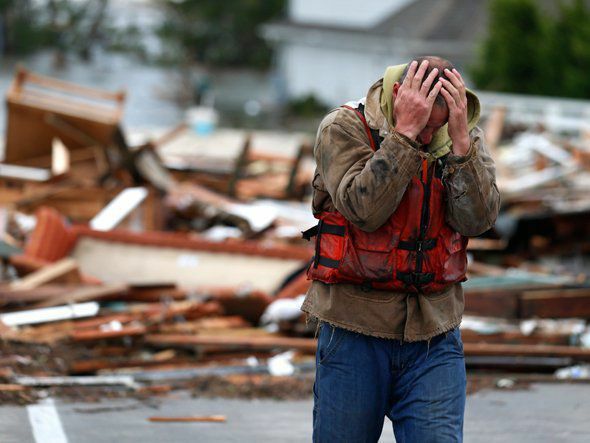 Will you have to pay a hurricane deductible? One of many issues our attorneys are attacking for businesses, condominium owners, hotel owners, apartment complex owners and home owners that were affected by Hurricane Sandy is whether they will be required to pay so-called "hurricane deductibles," which are normally higher deductibles triggered by hurricanes. Instead of paying a flat deductible, which usually could range, policyholders struck by hurricanes may face deductibles equal to a high percentage of their poliocy. According to New York Governor Cuomo and other officials, by the time Hurricane Sandy struck New York and other Northeastern States, wind speeds had slowed to a point that would not classify the storm as a hurricane. Insurance providers would therefore be unable to enforce hurricane deductibles, which only apply if a storm is at least a Category 1 hurricane with sustained wind speeds of 74 mph or more. Deceptive or unethical practices by insurance adjusters and other insurance company personnel. Insurance providers have a legal duty to act in good faith when it comes to investigating, valuating and paying claims. When they breach this duty, they may be held accountable. Depending on the jurisdiction, the wronged policyholder may be able to seek the full value of the original claim, plus damages. The Voss Law Firm, P.C. represents plaintiffs in insurance bad faith lawsuits and all other legal matters related to unfairly denied or delayed Hurricane Sandy insurance claims.